There are unlimited possibilities depending on what your mood is for the day. Take an afternoon or evening cruise to look at gorgeous waterfront estates on the island points, cruise to and dock at one of our waterfront restaurants or bars, or just explore the waterways at your own relaxed pace. See the cruise ships in Port Everglades, or go up the New River to the Performing Arts and Entertainment district. 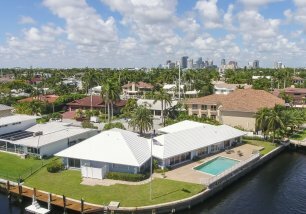 You can take a cruise north on the Intracoastal Waterway through the luxury neighborhoods of Hillsboro Mile, Boca Raton to the Town of Palm Beach. 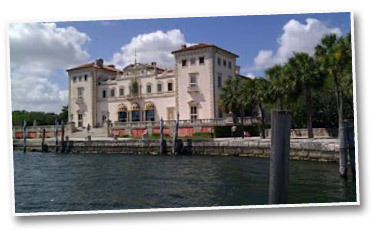 See the estates of the rich and famous and their waterfront backyards! Cruising to the south takes you to Miami and Miami Beach where the Intracoastal Waterway opens up to the wide waters of Biscayne Bay. More homes of the rich, famous and infamous, and more restaurants too! Farther to the south are the waterfront home of the World Champion Miami Heat, Fisher Island, Key Biscayne, the Vizcaya Museum and Gardens, Coconut Grove and more. 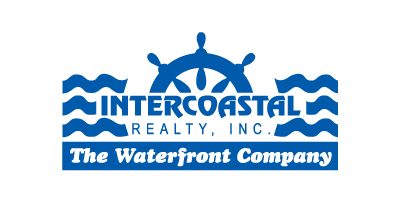 The Intracoastal Waterway is a 3,000 mile waterway along the Atlantic and Gulf Coasts. The Atlantic Intracoastal Waterway runs for most of the length of the Eastern Seaboard south to Key West. The Gulf Intracoastal Waterway runs in 3 sections from Brownsville, Texas to Fort Meyers, Florida. Cruise north to the Kennedy Space Center. Time it right and you might see a rocket launch. Keep going north to St. Augustine, the oldest city in America. Got more time, keep cruising north to Savanna and beyond! Cruising south past Miami are the Florida Keys. Great boating, fishing and endless water activities plus wonderful spots to stop and stay all the way to Key West where you can meet Hemingway’s cats, go to Fantasy Fest or just watch the endless sunrises and the sunsets. Cruising southwest to the Gulf Coast brings you to Marco Island, Naples, Fort Myers, Sarasota, and Tampa. Got more time, cruise to Tampa, the Panhandle of Florida and New Orleans too! If you have a sailboat or a multi-engine power boat you can travel international waters to the gorgeous turquoise water and white sand beaches of the Caribbean. Bimini, in the Bahamas, is less than 50 miles east of Fort Lauderdale. Just don’t go to Cuba! There are not many places in the world where you can get on a boat in your backyard and find so many interesting places to go. Welcome to Fort Lauderdale. We call it home you will call it Paradise! 10 Things You Might Not Know... But Should! 640 3rd Key featured in Luxury Real Estate "Week in Review"